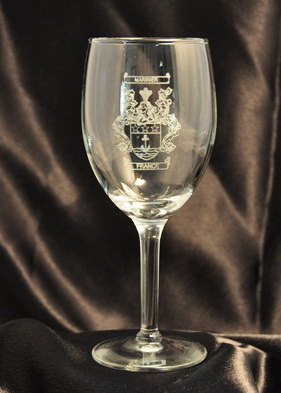 Perfect for an after-dinner glass of port, or anytime. This 9 oz. 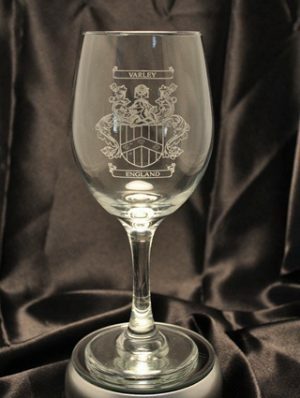 small wine glass features a beautiful laser etching of the full Coat of Arms. Free shipping. Please allow 6 to 8 weeks for delivery.